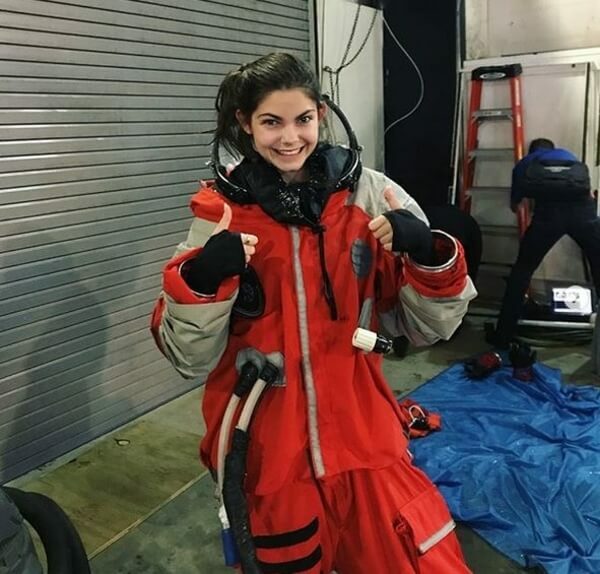 The First Human On Mars: Who Is 17 Year-Old Alyssa Carson? Think about what you were doing at the age of seventeen. Chances are, it was nothing like this! 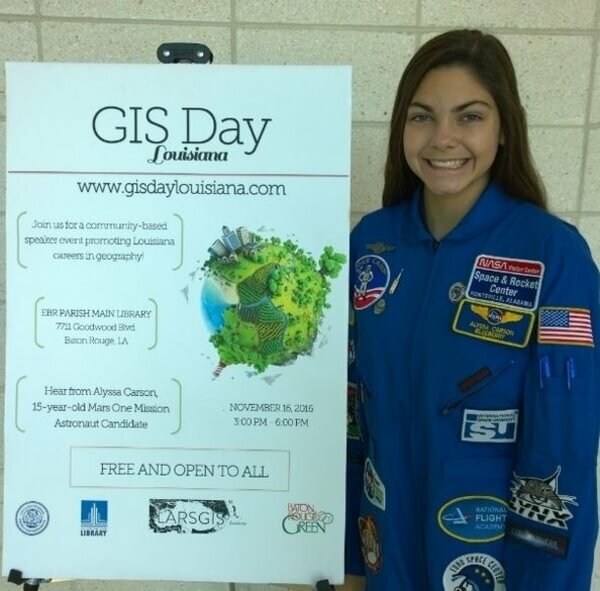 While space and all its wonders have been at the forefront of human exploration for decades, no one imagined that a 17-year-old girl from Baton Rouge, Louisiana would be the first human to possibly visit Mars. 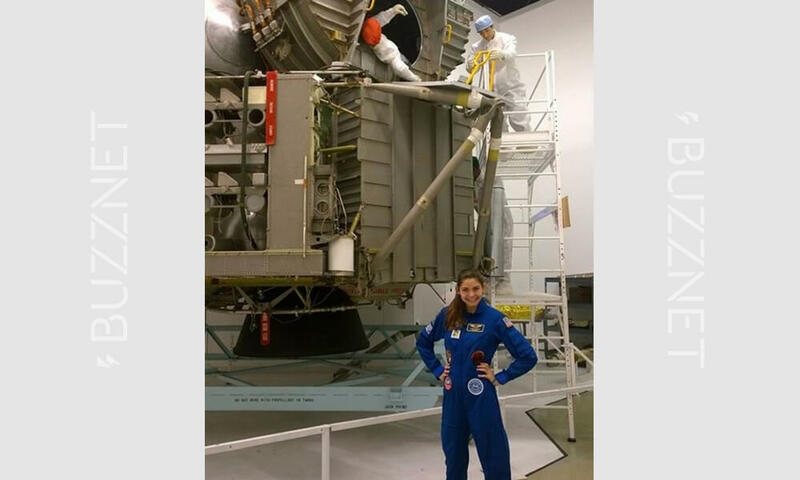 With her training to become an astronaut by NASA, Alyssa Carson has everything going for her and then some. She’s determined to visit the mystery planet by 2033, and show all of us that the sky isn’t really the limit and that anything is possible. 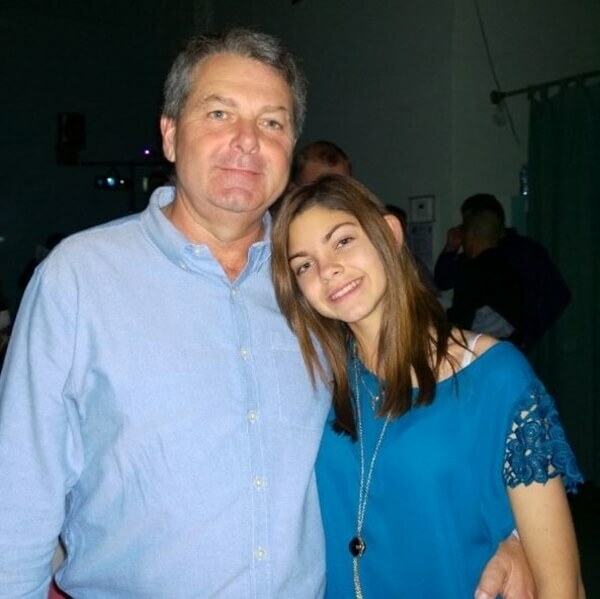 While most kids have the ability to dream big, Carson’s father had no idea that his daughter’s spontaneous childhood dream would become a reality, leading her into a journey of a lifelong endeavor. Alyssa lives by her own quote of, “Always follow your dream and don’t let anyone take it from you.” Wise words from someone so young- she is beyond her years! 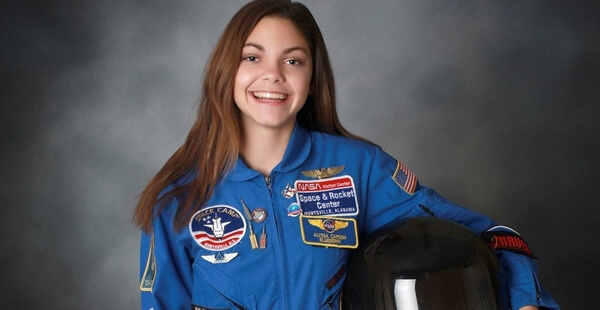 While most of us were making college plans or wondering what to do with the rest of our lives, at 17, Alyssa Carson is an astronaut in training with NASA, making her childhood dream of space travel an exciting reality. Her goal is to be the first person on Mars, aiming for the 2033 first human mission. Oh, and not to brag, but she could also be the first woman to go to Mars, which is pretty exciting if you ask us! This brings feminism to a whole other dimension. Pun intended. Carson is the first person to complete the NASA Passport Program by going to all 14 NASA Visitor Centers. 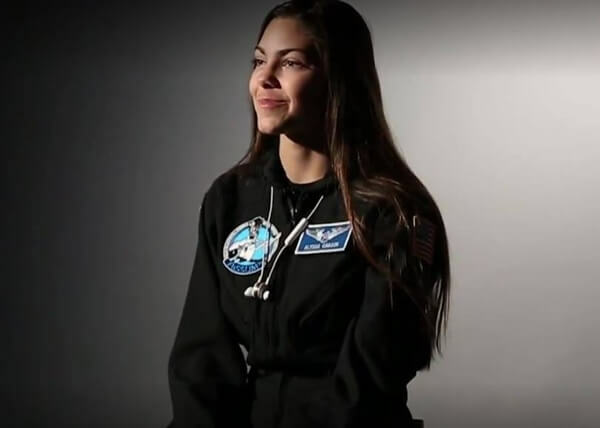 She is also the youngest person to be accepted and graduate from the Advanced Possum Academy, which officially makes her certified to go to space and become an astronaut trainee. On top of all things space-educated, Carson is also studying all of her school subjects in four different languages – English, French, Spanish, and Chinese. “The biggest challenge is time and getting everything done at such a young age while also still attending high school. Continuing to train at a young age will also be further difficulties for me but I have done great with it so far.” Alyssa shared. While it’s obvious that Alyssa has a rather extravagant future ahead of her, one might be curious as to whether settling down and having a family will be in the cards for her. While she is well aware that she can’t get married and start a family of her own, she understands this difficulty and is determined to put having a rather normal life aside in order to achieve her dream. If that isn’t considered to be courageous, we don’t know what is! Let’s be honest though. While starting a family can be exciting, getting to explore and learn about otherworldly events and space travel seems to take the cake! Along with her NASA training, Carson is also a public speaker! What can’t this girl do? 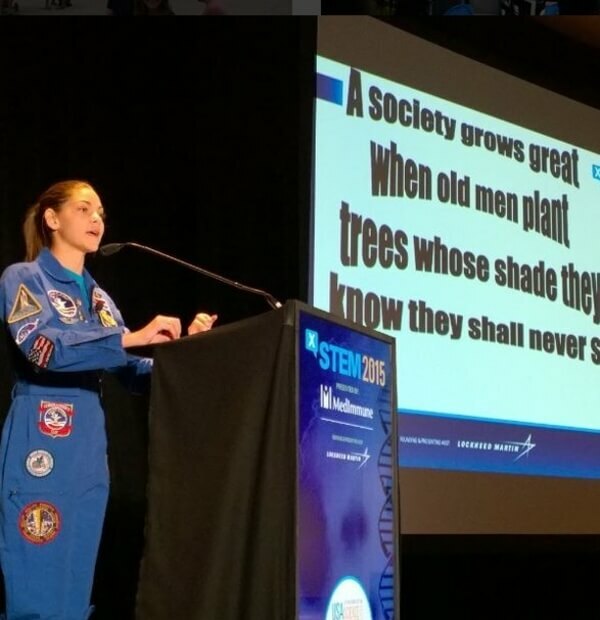 Her mission is to draw interest to space exploration while encouraging everyone to pursue their dreams. While so many of us often put our big dreams on the backburner to try something more “realistic,” Carson isn’t having any of that, urging everyone to seek whatever their heart calls them to. When asked about her own personal inspirations, Carson stated that “All astronauts, especially women astronauts as they have made the road for me to follow” inspire her. 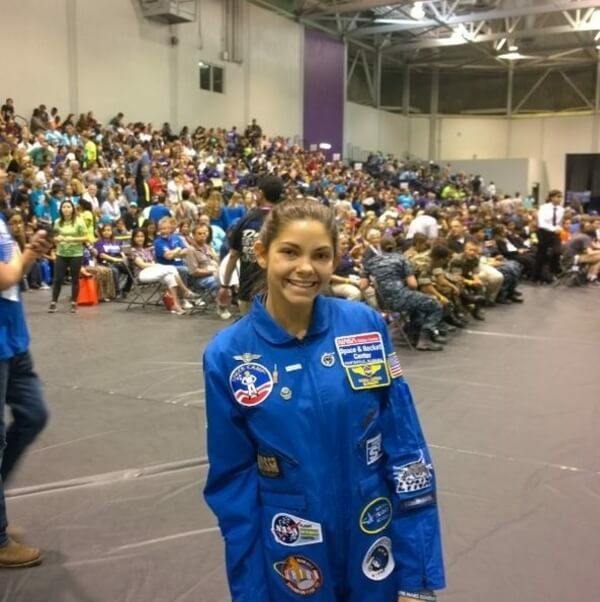 Alyssa’s father, Bert Carson, enrolled her in the United States Space Camp in 2008. She returned to Space Camp several times within the following years. She also attended Space Camp in Laval, Quebec and in Izmir, Turkey. Talk about space traveling! All of that Space Camp paid off. Carson is also an ambassador for the Mars One private spaceflight project and in 2014. As if that wasn’t already impressive, she spoke at a NASA panel at the Smithsonian National Air and Space Museum in Washington D.C. in January 2014. 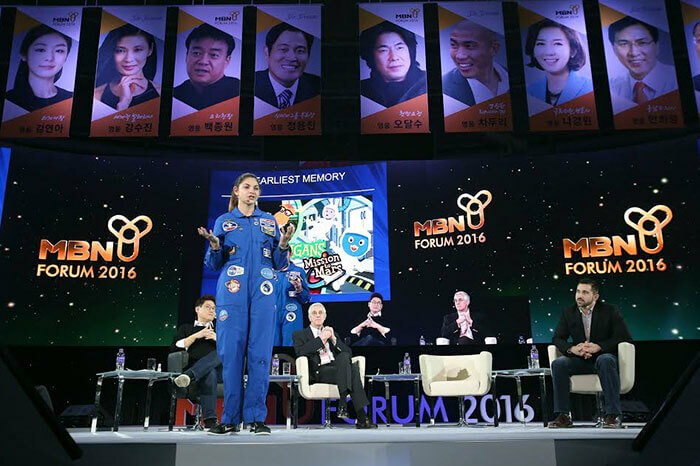 She is also the youngest applicant to International Space University. Carson speared in the movie The Mars Generation. She even walked the red carpet at the movie’s premiere at Sundance Film Festival. Aside from her movie star prowess, in an appearance on Steve Harvey, she was honored as their youngest Female Groundbreaker. 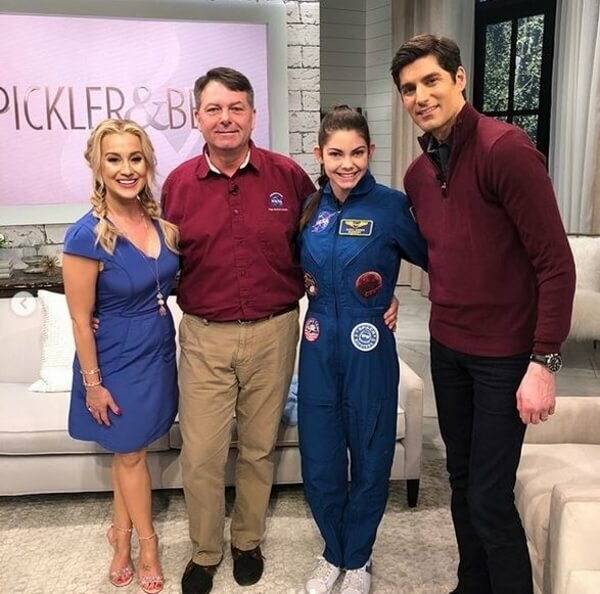 She has also been featured in other media around the world including Pickler and Ben, NBC Nightly News, CBS, BBC, Independent, and Australian Daily Telegraph. But we’re sure as she gets older and her mission becomes a worldwide phenomenon, we’ll be hearing a lot more about her. If all goes according to plan, Carson’s mission to Mars will be part of the effort to establish a human colony on Mars that could one day save our species. Some may say that we need that mission right now more than ever! Carson’s obsession with space and the mysteries surrounding it all started when she was just three years old and watched a cartoon called The Backyardigans, which featured five animal friends that went on imaginary adventures in their backyard. 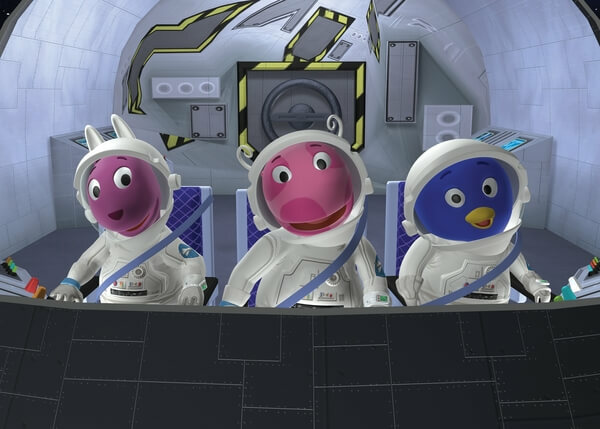 One episode featured a mission to Mars. “I thought, ‘This red planet is so cool’” she said. “I started watching videos of rovers landing on Mars. I had a gigantic map of Mars in my room I would look at. We started getting telescopes so we could look at space.” It makes you wonder what other cartoons sparked a lifelong dream in others! While learning the basics of space and all things planet-related, Carson was given an official call sign – a nickname used by mission control when talking to their talent. “Blueberry” became Carson’s call sign and she uses it on social media. You can follow her on Twitter at @NASABlueberry1 and on Instagram at @nasablueberry. 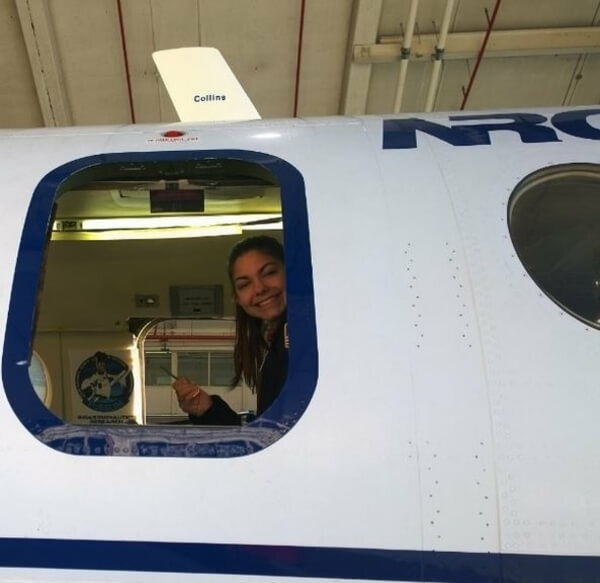 After mastering the basics of space, she simulated missions, tumbling out of control by trying to reach a destination in gravity-free weightless zones. She then took over mission control by directing her peers on what to do. Aside from an exciting mission to be the first human to go to Mars, Carson is all about giving back. Named after her call sign “Blueberry,” Alyssa started her very own Blueberry Foundation. The non-profit aims to encourage kids to seek out their dreams and give opportunities they wouldn’t otherwise have had. She also wants to draw interest toward the field of space travel and her own personal mission. As for how the adorable call sign came to be? Carson says it just happened naturally. “I didn’t have much say in the name. It just stuck.” Proof that anything that is meant to be will always come naturally. 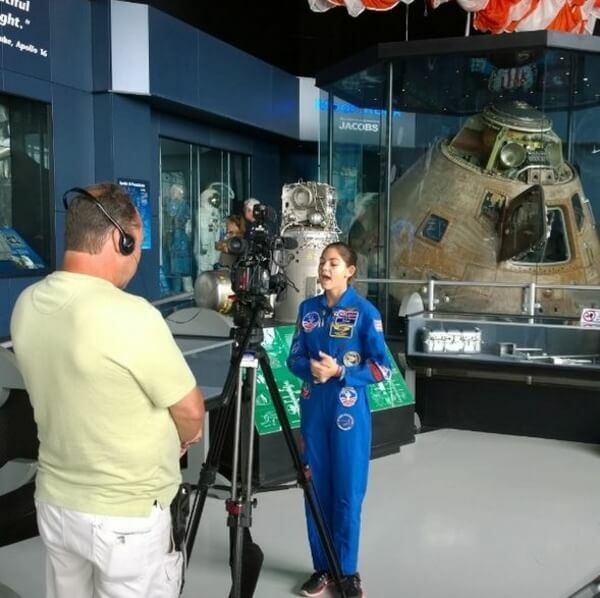 When Alyssa was 9, she met NASA astronaut Sandra Magnus. As it turns out, they had a lot in common. The veteran explorer told Carson she was the same age when she decided to go to space. It was in that life-changing moment that Alyssa knew her love of space was meant to be pursued wholeheartedly. 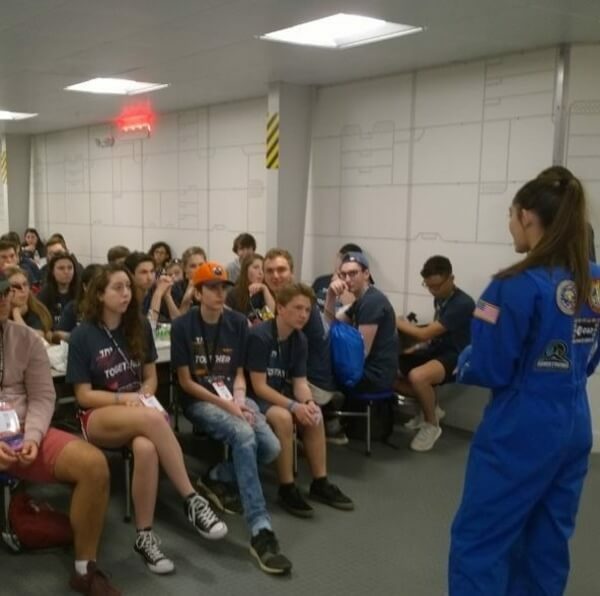 Although NASA doesn’t allow anyone under the age of 18 to become an astronaut, the organization truly believes in her and is working with her to ensure that she has a strong chance of succeeding in her mission when the time comes. It’s quite obvious that Carson is the ideal candidate and a landing on Mars is exactly what she has been dreaming of. She will be 32-years-old, an ideal age for an astronaut, when the right technology and machines are ready in 2033. If you’re in your late twenties or early thirties right now and you feel unpleasant about your life choices, we hear you! Other groups from SpaceX to MarsOne are impressed and are considering sending her to space early. Although not to Mars, Carson might have the opportunity to launch her career a bit earlier than expected. 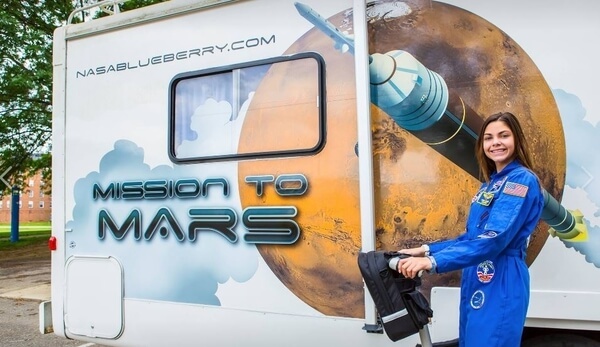 Aside from her regular speaking opportunities in the US and her Blueberry Foundation, Carson travels the world to speak to kids her own age about what she does, inspiring young minds to think outside of the box and follow their dreams. When traveling to places like Madrid and Seoul, Korea, she gets kids excited about a whole other world out there unexplored. Her audiences can range in size and can be as large as 3,500. Her talks focus on leadership and social action while getting kids involved in things they might not typically know about. 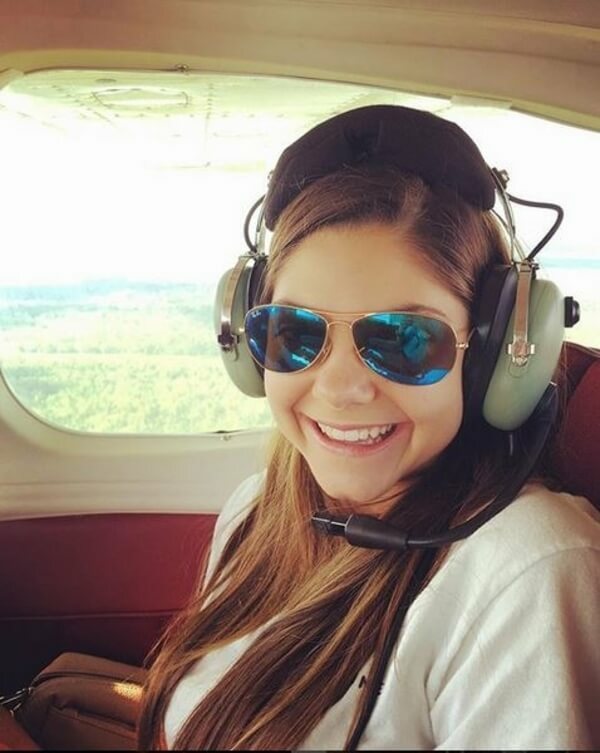 Carson is set to complete a professional certificate in applied astronautics, which would allow her to do a suborbital research flight. This generally involves going high enough away from the earth so as to be considered in space, but not going too far as to actually enter orbit. Whether that scares you to death of excites you is another story. For Carson, she is just getting started. In September she is set to get some geology training in Iceland – a level of commitment most teens and adults cannot even fathom. While it may always be exciting to talk about or prepare for a mission in theory, Carson is pretty optimistic that her 2033 mission will happen, without a doubt. While a lot of what is necessary to complete the mission is already possible, or at least can be developed in the next 15-20 years, things like funding and willpower are next on the list. When asked if Carson would still go to Mars if she would never come back, she still insisted that this is what her heart is telling her to do. If that’s not courageous, we’re not sure what is. While most kids are born with the notion of being told that she can do whatever she sets her mind to, Carson took it upon herself to work extremely hard at her future goals, making it possible for others to follow in her footsteps and be an example for those who may be feeling smaller. 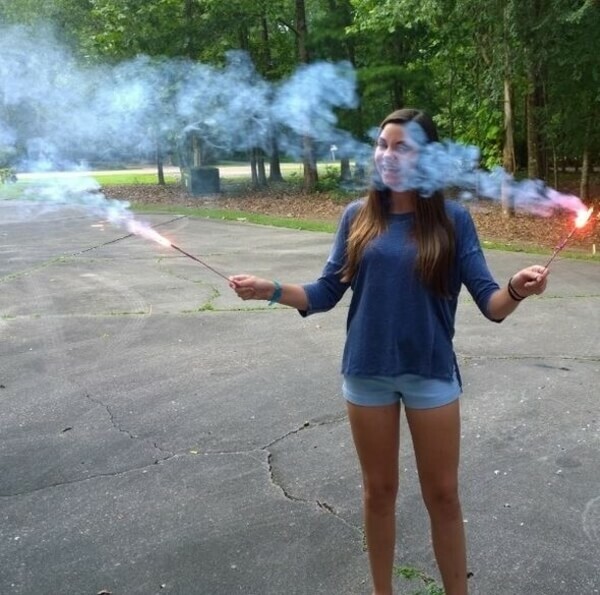 While Alyssa is focused on her future as an astronaut, she is also a normal teenage girl who enjoys everything you do too. She enjoys playing soccer, riding roller coasters, listening to music, and devouring ice cream sundaes, Carson knows the importance of downtime and making time to just be a normal girl. 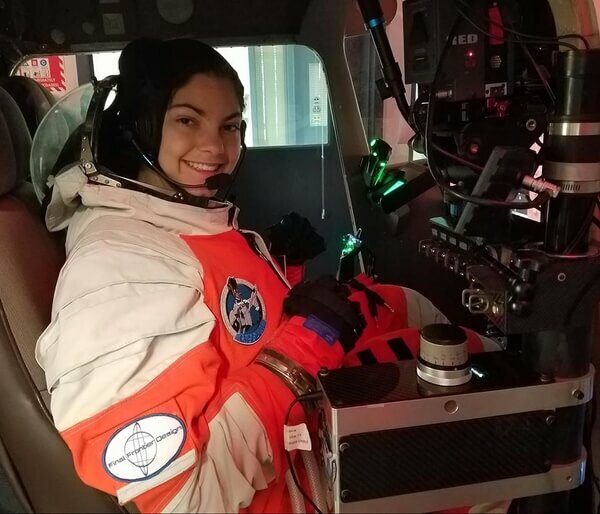 With a healthy balance between her home life and her journey to become an astronaut, Carson is an inspiration to all, showing that stability is possible in everything we do. Some might be wondering what astronauts will do once they actually get to Mars. Carson is already three steps ahead. She plans on being the Mission Specialist, studying rocks and soil while searching for bacterial life in the stream and water of the planet. So is there really life on Mars and if so, will they save us from what we’ve become? Only time will tell. The rest, as they say, shall be history…in the making of course. As for Carson? We’ll be watching from whatever new devices are invented by 2033 as the young girl we all came to love follows her dreams and reaches for the stars.